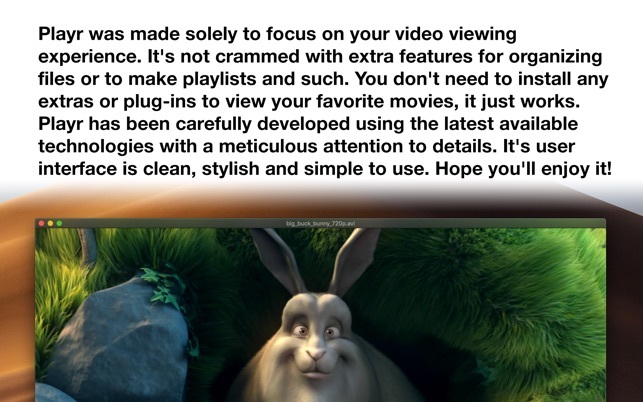 Playr was made solely to focus on your video viewing experience. It's not crammed with extra features for organizing files or to make playlists and such. 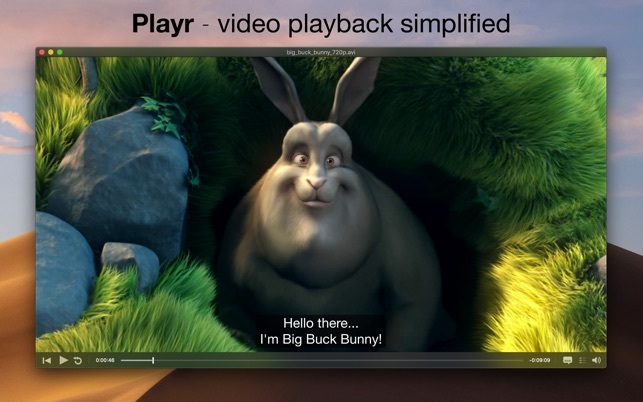 You don't need to install any extras or plug-ins to view your favorite movies, it just works. Playr has been carefully developed using the latest available technologies with a meticulous attention to details. It's user interface is clean, stylish and simple to use. Hope you'll enjoy it! - Play almost any video file without the need for extra system extensions or plug-ins. - Doesn't depend on QuickTime for playback. - Automatically loads and displays embedded subtitles or subtitles from external files. - Smart built-in subtitle search engine... find your movie or tv show subtitles in a breeze. - Supports all the major subtitle formats. - Supports styling tags in subtitle files like italic, bold and underlined. - Fully customizable subtitle display (font, size, color, shadows, etc). - Convenient metadata inspector that automatically pulls info from the net... with links to IMDb. - Detailed movie inspector for all those nitty gritty details. - Fullscreen player built-in (of course). NOTE! Playr can't play movies purchased in the iTunes store due to Apple DRM protection. Please report any problems/bugs to support@bitfield.se or use the built-in feedback feature and I will get back to you. 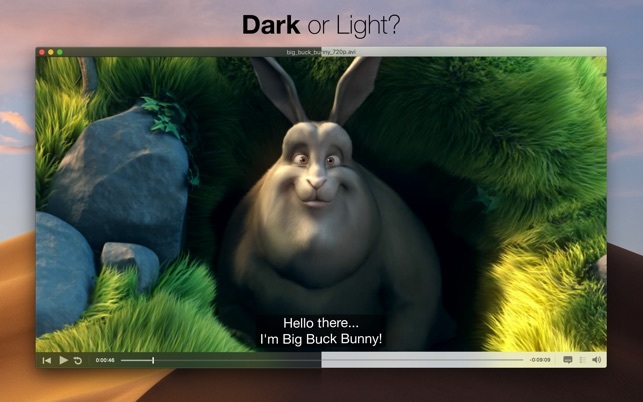 - Support for macOS Mojave and Dark Mode. - Select from Dark, Light or System appearance in Prefs. - FFmpeg updated to the 4.0 "Wu" release. - Select and add subtitle tracks from the TouchBar. - Various under the hood improvements. Thank you for all your input and support! I Love its interface, but it needs some improvements. The application is really great, especially its simple and beautiful interface. But it uses too much CPU, so my laptop gets very hot and the fans never stop working until I quit this app. Also, it crushes sometimes. I noticed the crush when a video was playing and I wanted to fast-forward it. Hope the developer would solve these problems as soon as possible! Glad to hear that you like Playr! The CPU load should be lower now and the crash which could happen when scrubbing or a fast-forward is fixed. I would love to hear what you think of the latest version. Good video player overall, simple UI and functions on just about all video files I’ve played so far (AVI, MP4, MKV) Only issue, I’ve had with some MKV files is that they crash after playing for a few mins, could be corrupt files on my end but I have converted and redownloaded others to have the same issue. Does not happen to all MKV files, but not sure how to fix the issue. Still worth the 4 stars.